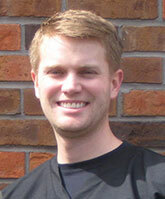 Dr. Sean Landgraf, DDS is the third generation of the family to join the practice. He graduated from UMKC School of Dentistry and is excited to carry on the family business. He always knew dentistry was the career for him and started working toward it at a young age. He is now a proud member of the Florissant Dental Services team. He is a member of the American Dental Association, Missouri Dental Association, Greater St Louis Dental Association, and Academy of General Dentistry. Dr. Sean said his love for dentistry stems from his enjoyment in fixing things. When not in the office, he enjoys repairing broken items and bringing them back to life. “It’s extremely satisfying repairing things, I feel the same way after helping people with dentistry.” Dr. Sean also enjoys St. Louis sporting events, the outdoors, and traveling.